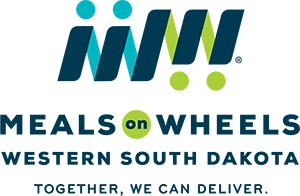 Meals on Wheels Western South Dakota provides nutritious meals weekdays in 39 communities throughout western South Dakota. Participants may enjoy a meal with their friends and neighbors in one of our congregate dining rooms in those communities. For home-bound seniors, volunteers will deliver the meals to you. want to learn more about WSDSS Meals?